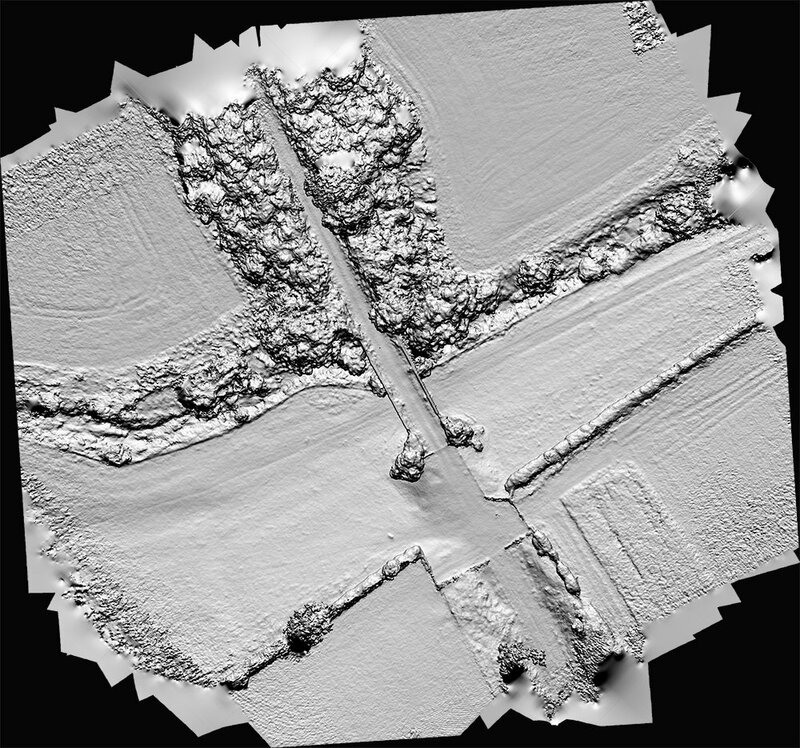 Our drone mapping services are an excellent way to gather data on sites large or small, by way of a process known as photogrammetry. This normally involves one of our pilots flying an automated, pre-planned flight path, at a specific altitude, to capture multiple nadir (looking straight down) images of the entire site to be mapped. As part of our commitment to continued professional development, we attended a training course on drone surveying and photogrammetry, conducted by a former RAF expert in Multi-sensory aerial imagery and spatial analysis. 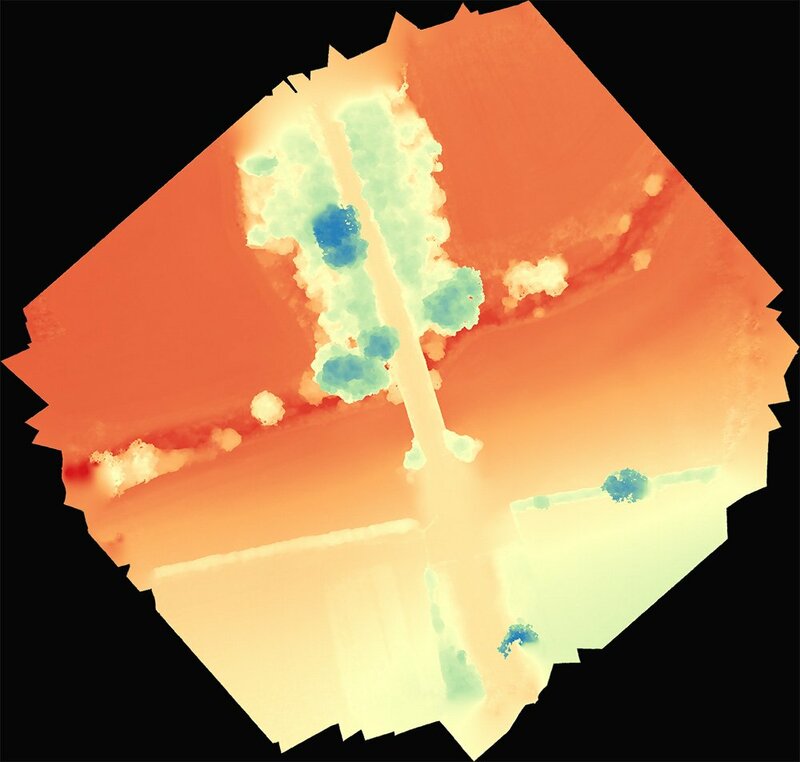 This has enabled us to improve our knowledge of planning and conducting aerial drone survey and mapping missions. As with all of the other drone services that we offer, when we are commissioned to produce a drone map or aerial survey of a site, we start by trying to get an in depth understanding of the customer requirements. Knowing what the intended use is for the output helps us to tailor the flight plan and customise the inputs in order to produce the desired results. For example, the site composition (urban, rural, wooded, etc) will determine the level of overlap required and whether we need to fly a single or a double grid pattern to collect the images. The GSD (ground separation distance) needed will determine the altitude that we fly at. What you intend to to with the data produced will determine the type of outputs that we produce. We could simply capture the image data for you and hand it over to your team for processing, along with a report detailing where and when the images were captured. 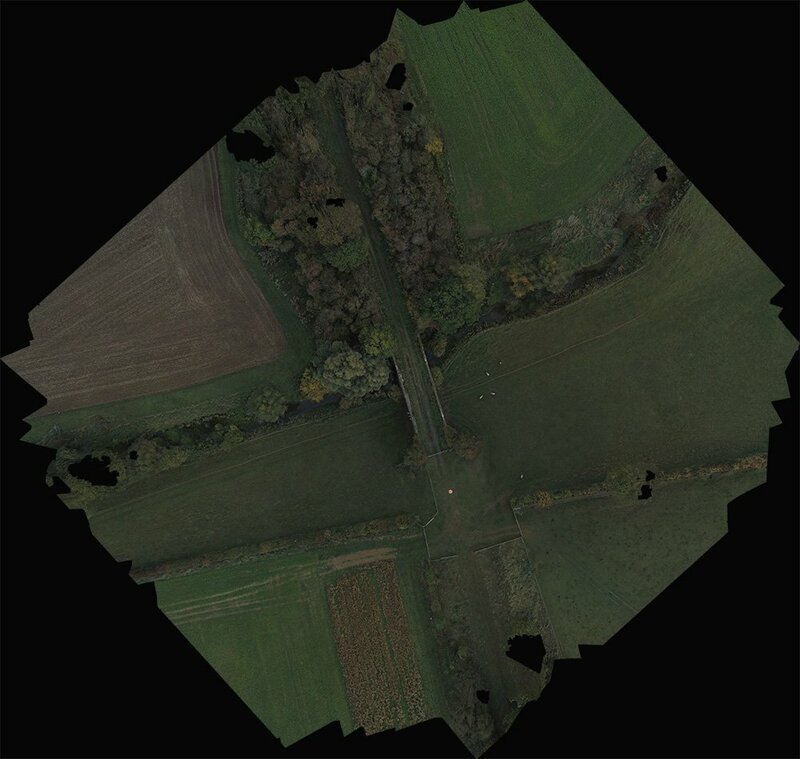 The examples below were produced from a mapping flight of an area of disused railway line, using one of our Phantom 4 Pro drones, flying at an altitude of 50m ASL (above surface level) from the take off and landing point. This is a similar process to the one we followed when we mapped an archaeological dig site in north Lincs. The orthomosaic has been imported into Photoshop, scaled down and exported as a jpeg in order to be suitable for display online. As with the orthomosaic, the above images are scaled down jpeg exports of the actual files. DSM (digital surface model), kml, obj model, las point cloud, etc. Please get in touch if you would like us to send you samples of any of these outputs. We can return to the same site on multiple occasions and fly the same exact flight plan, allowing us to capture changes over time. Using drones to map areas in this way is quick and safe. We can map areas that would be difficult or dangerous to access on foot, in a fraction of the time and capture millions of points of data. The terms drone mapping and drone surveys or aerial surveys are often used interchangeably. However, we like to differentiate between the two. In our minds, a drone survey of a site is a highly accurate survey and requires the use of GCPs (ground control points) in order to really tie down the GPS data to very high levels of precision. For example, if you were looking to measure the boundaries of a site or changes in a site over time then GCPs would more than likely be required. We are not chartered surveyors and our standard drone mapping offering, whilst offering good relative accuracy, is not survey grade data. However, we can work alongside chartered surveyors should this additional level of accuracy be required. There is an additional cost associated with this but if your project requires it then we are happy to supply it. If you’re not sure whether or not you need this level of accuracy in your outputs, please talk to us so that we can determine what the requirements for your project are. If you are a surveying company looking to offer drone surveys as part of your offering, either to existing clients or to attract new ones, then we are very happy to work alongside you to help extend your capabilities.